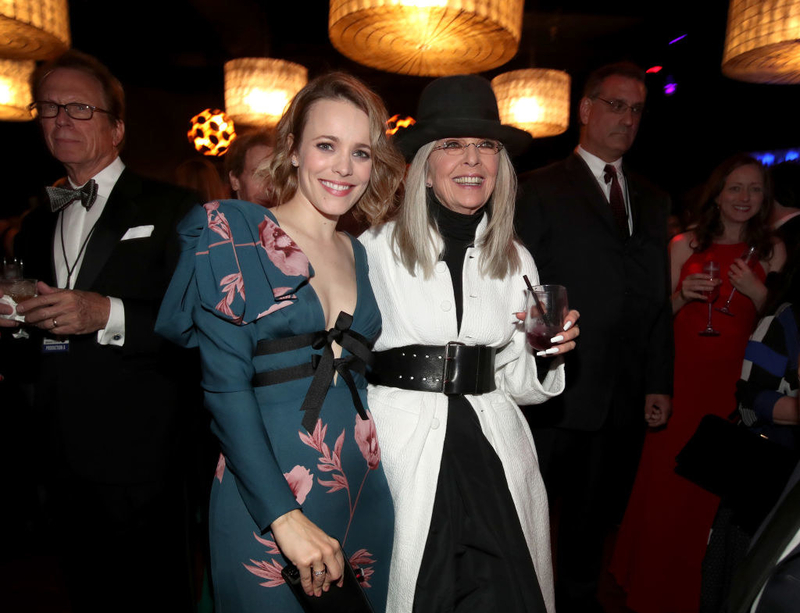 Last night, actor, producer, photographer, writer, and queen Diane Keaton was presented with the 2017 AFI Lifetime Achievement Award. Look at those nails, those queenly nails. And people showed up for her, because if you show up for anyone, it's Diane Goddamn Keaton. 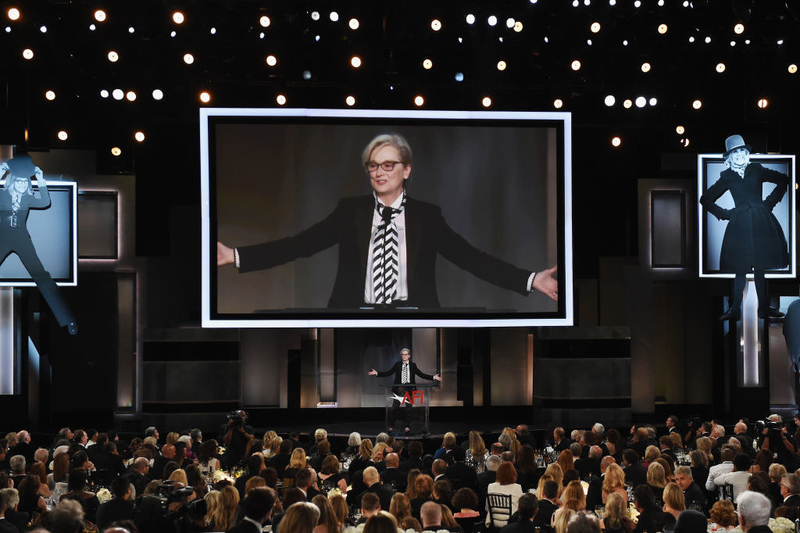 Celebrity speakers included Steve Martin, Martin Short, Reese Witherspoon, Rachel McAdams, Meryl Streep, Al Pacino, Warren Beatty, Sarah Silverman, Jane Fonda, Morgan Freeman, Lisa Kudrow, Emma Stone, and Woody Allen. Among the star-studded attendees was one Patty Jenkins, director of Wonder Woman. She got her own shoutout before the program began, and received a standing ovation. Just in case you hadn't heard, Wonder Woman opened last weekend with a whopping $100.5 million in domestic sales, earning Jenkins the record for the best domestic box office debut for a female director. Ever. But before the ceremony, Jenkins took a few minutes of her time to grace the event's red carpet, and PLEASE OBSERVE HER WRIST. That really looks like a Bracelet of Submission. Ya know, one of Wonder Woman's bullet-deflecting, badass bracelets she uses to save Steve's life in the alley, and to protect herself during the iconic No Man's Land scene? The bracelets she uses to knock Antiope backward during their training session, when she first realizes her own power? Oh well, maybe I'm making too big a deal out of this, maybe it's just a fun accessory. OH WAIT NO IT ISN'T AND I AM TOTALLY RIGHT! My heart, it is so full.